SALT LAKE CITY October 11, 2017 – In the wake of the Harvest Music Festival Shooting, the Utah Attorney General’s Office announces that the City of Las Vegas is working towards finding all victims of the Harvest Music Festival shooting in Las Vegas. Las Vegas is offering everyone who was at the venue the opportunity to obtain counseling and victim compensation assistance in the wake of the tragedy. 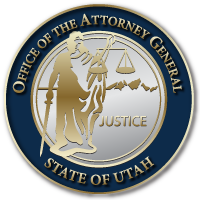 If you attended the festival and are a Utah resident impacted by this tragedy, services such as counseling and victim compensation assistance are available to you. Please don’t hesistate to reach out to the resources listed below. Please visit the victim assistance website—here—operated by the Federal Bureau of Investigation, to navigate through the process of organizing counseling, receiving compensation, or retrieving your belongings. Additionally, if you have lost any property you may have left behind, please complete the Victim Questionnaire. This entry was posted in Recent Posts and last updated on October 11, 2017 .